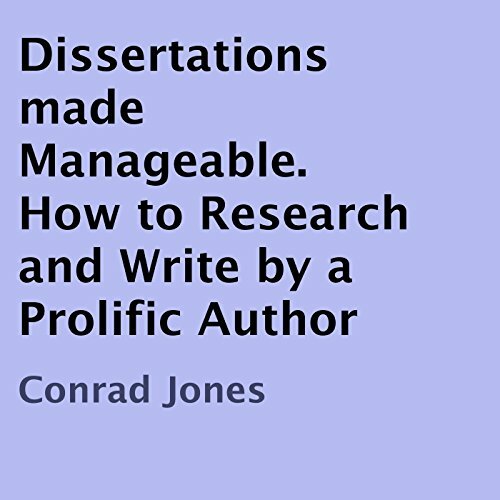 If you are taking an advanced educational course which includes a dissertation or research project of some kind then this practical guide will turn a mountain into a molehill. For many students this process can be a terrifying experience, especially if writing is not your forte. The author of this guide is a prolific writer and he uses his proven system for each novel. If you follow this plan then your dissertation will be panic free. This simple guide will provide a system of producing a dissertation with minimum stress and frustration. It covers such areas as choosing a subject, planning the project and how to research it. It is a guide written by a writing professional, published over a dozen times.